Pregnancy is one of the many beautiful phases of life. During this phase, you have to experience many things that you have not ever experienced before. Some of these experiences are good, and some are unpleasant. If you are pregnant, morning sickness is common, but it is not a thing that happens only in the morning. Most of the females get it all the day in their early first trimester. According to the experts, this is because of the hormone released by the placenta. There is a hormone known as estrogen that is responsible for the growth in breast size. This increase in size is for lactation purpose. Mood swings are very common during the pregnancy. This includes anxiety, depression, etc. Stress is also common during this period. It is believed that stress impacts the physical development of your baby, so, try and take it easy. Researchers have proved that several genetic factors can lead to multiple births like the history of twin pregnancies. If you are undergoing IVF treatment or have taken fertility drugs, the chances of having multiple pregnancies are comparatively more. A baby is developing in your fetus. So, now your heart and blood vessels have to transport more oxygen, and other organs have to work extra than usual. This transformation and overwork may lead to unpleasant symptoms like light-headedness, nausea, cravings and frequent urination, etc. A woman in normal circumstances has 17 square feet of sin. But during nine months of pregnancy, this can stretch up to 18.5 square feet. The blood pumped by heart increases by 40 to 50%. This is a very less known fact among all – the heart gets bigger both in length and width. To pump the extra blood, the walls of the ventricles get thicker. The heart also beat faster than usual. Majority of women gets stretch marks. When the size of your baby is big, or you are carrying twins, or you have extra amount of amniotic fluid, the chances of having the stretch marks are higher. Oils and creams can help reduce the stretch marks. Pregnancy helps in improving your metabolism to compensate the weight gain. During the first trimester of the pregnancy, the body starts to store fat almost until mid-time and then the fetus begins to use the stored fats. A baby’s ears are fully formed halfway through the gestation. The child sense of hearing is good even being muffled by amniotic fluid. The body normally transmits heat to the skin, where it evaporates assisted by dilated blood vessels near the skin’s surface. During the gestation period, because of the extra blood, increased surface area of the skin and sweat glands, the process works faster. During this period, the skin becomes more susceptible to the sun. Many women avoid the sun during pregnancy are they are prone to the pigmentation. But the sun is also an essential source of vitamin D, and for calcium absorption. Your placenta not only provides your baby nutriment but also offers immunity against bacterial infection. One more way to provide a natural defence to the baby is through antibodies which are transferred through the placenta to the fetus. Superfoods such as avocados and apricots are known to boost physical health and energy during pregnancy. Other food items such as chia seeds, omega- 3 rich grains, etc. also help to decrease the pregnancy depression. During the pregnancy, the body automatically becomes more efficient at iron absorption. During the pregnancy, the digestive system slows down. The food will pass slowly through the intestine for better absorption. 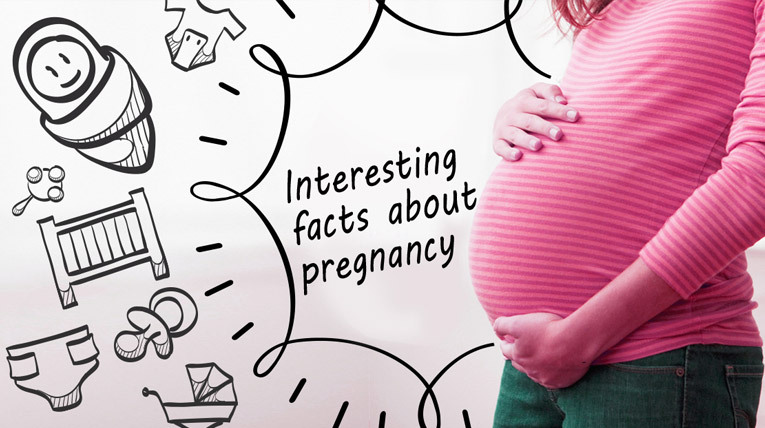 There is extra blood circulation to your skin during the pregnancy. Because of hormones, the oil glands become more active during this period which gives rise to a shinier appearance.